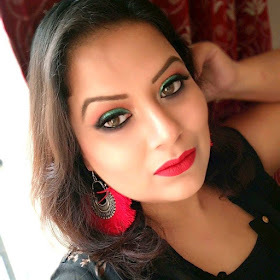 Mac Vibe Tribe collection that turns out hit internationally due to its stunning shades that are perfect for summer and a little bit of the controversy that it bring along with. The collection hit the stores internationally on 19th May 2016 and in India in June/July (most probably, correct me if I am wrong). The prices of each product are slightly higher than the regular one. It is definitely because of the limited edition packaging. The collection includes eyeshadow palettes, patent polish lip pencil, cream color base, Gleamstones powder, Bronzing Powder, Studio sculpt defining bronzing powder, Technakohl eyeliners, lipsticks, brush, makeup bag, studio nail lacquer and powder blushes. I grab one lipstick Hot Chocolate which is the hottest selling lipstick in this collection and Matte bronzer (permanent). Yeah, I grab matte bronzer in limited edition packaging as I am a sucker for packaging (I admit openly) and wanted something different packaging for Mac matte bronzer. So when Mac launched its bronzer in limited edition packaging I grab it happily (call me mad: P ). Matte Bronze Bare shouldered bronze (Permanent):- $27 (don’t know the current Indian price). The lipstick and bronzer comes in a beautiful limited edition packaging. The lipstick has the signature smell of vanilla whereas the matte bronzer has no smell at all (it look like chocolate brown, but don't smell like that... :P ). The lipstick “Hot chocolate” was the hottest selling lipstick from this collection. Mac hot chocolate lipstick is a re promote one from a past collection “Apres Chic” collection. I skipped the lipstick from that previous collection as I was little doubt about the lipstick at first because it looks like kind of wash out shade for my warm skin tone. But when Mac re promote the shade in this collection, I decide to give it a try after seeing tons of swatches online. The lipstick is satin in finish.It is a beautiful brownish plum in a satin finish that goes beautiful with my skin tone. This is a very pretty shade that will suit everyone from fair to dusky skin tone people in its own way. Maybe it is a bit different kind of shade compare to those shades in which I am comfortable mostly (those pinks, reds, and corals). But this shade actually gave me the guts to try different shades and made me re-think that "anyone can carry any shades, depending on the confidence in them to carry it". Anyways coming back to review, the lipstick stays pretty 5-6 hours on my lips. The satin finish of the lipstick is quite comfortable on my lips and with hours it turns out matte on my lips(i have dry lips now). The lipstick is not hydrating one but it keeps your lips well moisturized (perfect for dry winters mostly). It goes perfectly with my brown or black Smokey eyes or any dramatic eyes. 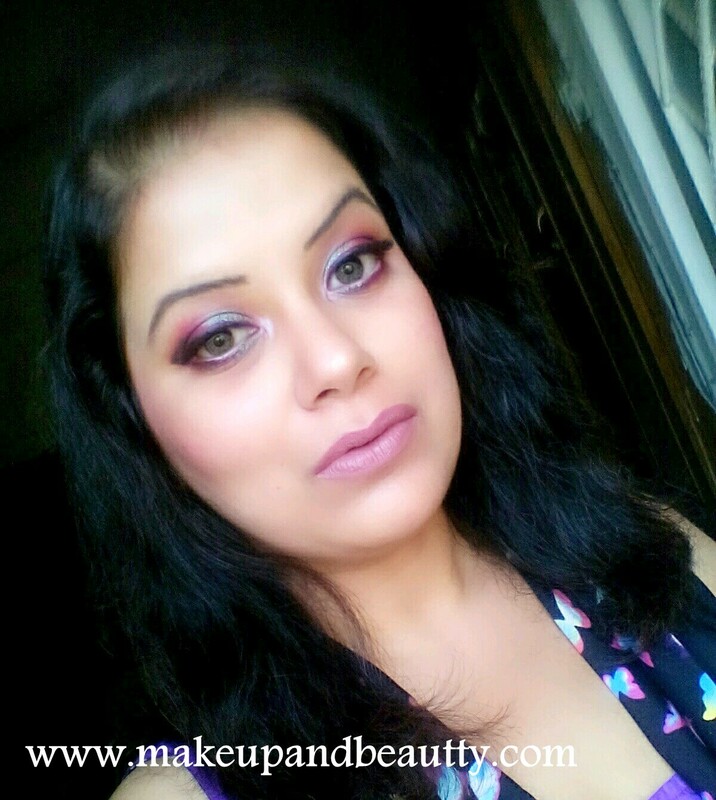 I usually love to pair up with bold kajal on my lower lash line. It is a “must try” shade from this collection. Coming to the bronzer, although it is in this collection in limited edition packaging but it is from Mac permanent line. Honestly speaking the review of Mac bronzer is not good at all, it is because many people complain that it hard to work with such bronzer while few says it hardly show up on skin. So, when I grab the bronzer I knew it that it not going to impress me as much but at the same time the shade of Mac matte bronzer is the exact shade that I was looking for contouring during day time. It is a light muddy brown kind shade that mostly show up on fair skin people. 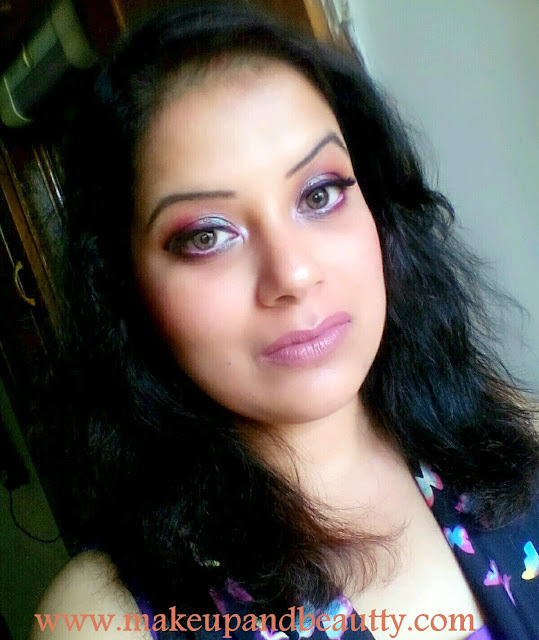 On my NC 35skin tone(now i am NC 30, as Delhi weather lighten up my skin...:P ), I need a 3-4 swipe to show up on my skin. It is buildable shade but at the same time, it is hard to get the product on the brush. 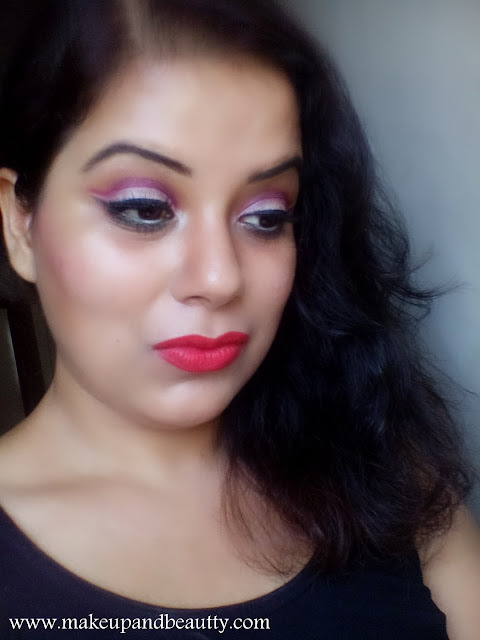 Overall the lipstick impresses me a lot whereas the bronzer fails to do that , but I will definitely find a way to use it easily and will share with you all in my tutorial videos.